One of the better web hosting providers is GreenGeeks, an eco-friendly company that has been in business for over 7 years. Their management team has over 40 years of experience providing quality web hosting between them. And for the most part, they do offer a good service – though there are some things that hold it back. You get great uptime and speed, excellent customer support, and affordable introductory pricing. But then you have to go for the longest term in order to get the best price, and since they only have one web hosting plan, you are limited in terms of choices. Plus, if you prefer Windows servers, then this might not be for you. Other than that, it is still a good alternative. Uptime and Speed – GreenGeeks offers really great uptime, which consistently sits at 99.95%. What’s more, their page load performance, at 799ms, is slightly faster than the industry average of 850ms. Customer Support – Customer Support is important because of the nature of the service that GreenGeeks provides, and this is something where they do not fall short on. GreenGeeks provides 24/7/365 live chat and email support, plus tons of how-to guides to help get you started on your website. Introductory Pricing – Good news for those on a budget: GreenGeeks offers a really affordable introductory price. 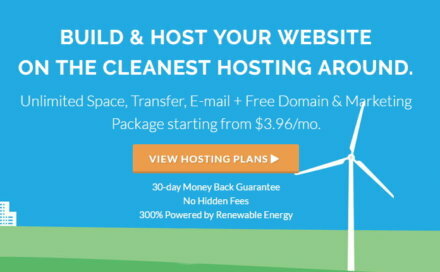 Their shared hosting plan starts at less than $5, and you even get a 30-day money back guarantee as a safety net in case things don’t pan out. Easy-to-Use – GreenGeeks makes it easy with an enhanced version of cPanel so you can control everything on your website. They also have 1-click install tools giving you access to 150+ ready applications like WordPress. Pricing Issues – While you can get a really good price from GreenGeeks, you do have to subscribe to three years’ worth of service in advance. Also, as is the case with most hosting providers, prices will revert to their regular prices once your initial term is up, which are a bit on the expensive side of the spectrum. Fixed Plan – GreenGeeks offers only one shared web hosting plan with fixed specifications, which means there really is no option to add on to it should you need more. In the cases of websites that would require additional features, or those that would eventually grow and have increased hosting demands, GreenGeeks’ singular shared web hosting plan might not be able to meet those needs. No Windows – GreenGeeks operates exclusively on Linux-based systems, which means they do not offer any Windows-based servers, at all. If you prefer or need Windows-based hosting, then you would have to look elsewhere. As we have mentioned earlier, GreenGeeks offers affordable pricing for their shared hosting package with a discounted price of $3.95 a month. The catch is that this is the introductory price for 3 years of service, for which you would have to pay upfront. And once your initial term is up, then the regular rates kick in. So if you renew after 3 years of GreenGeeks hosting, this means you would have to pay $9.95 per month, which is a bit expensive. Thankfully, they do provide a good set of features, even if they only have one shared hosting plan. With a GreenGeeks shared hosting package, your website is given unlimited web space and data transfer with unlimited parked domains and subdomains. You also get free domain registration or domain transfer, which saves you the additional cost. GreenGeeks also gives you a free starter site, as well as a free site building tool along with free marketing and SEO tools to help you build a better online presence. You also get unlimited email autoresponders, unlimited forwarding email accounts, unlimited additional FTP accounts, unlimited MySQL databases, eCommerce features, free nightly backups, real-time security scans, 1-click script installations, and more. Also, combined with the 24/7/365 customer support and a fantastic 99.95% uptime and slightly better-than-average page load times, spending $3.95 a month, initially, is a good deal considering what you get out of it. The 30-day money back guarantee also makes it risk-free to sign up. True to their name, GreenGeeks not only provides quality web hosting but also one that is environmentally friendly. With the web hosting industry being a significant contributor to our planet’s pollution, steps must be taken to improve the carbon footprint it has on the planet. GreenGeeks is a recognized EPA Green Power Partner and the one of the eco-friendliest web hosting services around. Their servers are housed in eco-friendly structures and they put back into the grid 3 times the amount of energy the consume, which not only eliminates their carbon footprint, but part of others as well. GreenGeeks offers more than enough self-help resources via their support page. It contains a knowledge base with hundreds of articles, and if you are tired of reading, you can also check out the various video tutorials on tap. Meanwhile, contacting their support team should be easy via three different options: live chat, phone and email. Their lines are open 24/7/365 so you shouldn’t have any problems in seeking assistance from their highly trained representatives. What's the Verdict on GreenGeeks? GreenGeeks is a good choice if you are looking for a Linux-based shared web hosting service as it provides both quality and affordability. Backed by great features, excellent customer support and an eco-friendly mind-set, they are one of the better shared web hosting choices around. They even offer a 30-day money back guarantee so it is practically risk-free for you to test out their service and see if it works for you. On the other hand, they only provide Linux powered systems though, so those who prefer to use Windows would have to look elsewhere. Plus, if your company grows, GreenGeeks’ shared hosting solution isn’t equipped to scale along with your needs, which only makes the lack of other subscription tier options all the more glaring. And then there is their pricing scheme. Although you can get a pocket-friendly price, you would have to subscribe to three years of service in advance. It also doesn’t help that their regular rates are a bit expensive. That said, if you are looking for a good Linux-based shared hosting solution with great features, and actually prefer the simplicity of a singular plan, then GreenGeeks might be for you.